Residents of South Africa are creating videos backing up US President Donald Trump's claims that white farmers in South Africa are being murdered. Here’s a video example of one chant mentioned by Barnard, in which South Africans call for killing whites. A message from Barnard’s brother, Jacques, also backed Trump’s claims, noting he’s been the victim of home invasions and has had property stolen. “All we’re asking is for you guys to do the research. Find out for yourselves. Don’t believe the media. They are lying. They are trying to cover it up, but unfortunately it’s true. 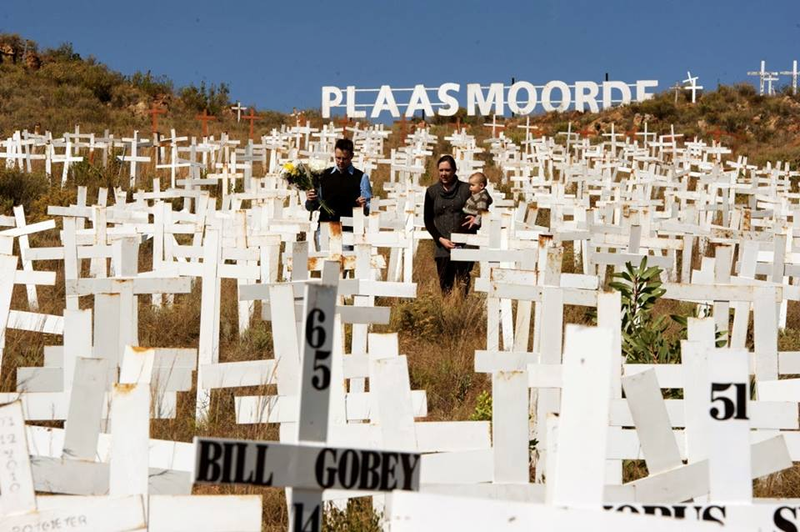 People are dying every day in South Africa because of racial hate toward white people,” Jacques documented. In another video a woman thanks Trump for calling attention to the dire situation, saying she’s been the victim of an armed robbery and carries a knife as a defensive measure. “Mainstream media, I dare you to quote me on this,” she adds. “South African Government is now seizing land from white farmers,” the president wrote in his tweet, citing a Fox News report. On Monday South African Minister for International Relations and Cooperation Lindiwe Sisulu also slammed Trump in a CNN interview, saying it was “unfortunate” the president had “misinterpreted” the government’s goal of compulsory land redistribution.